Heating and electricity are included in the rental rate. 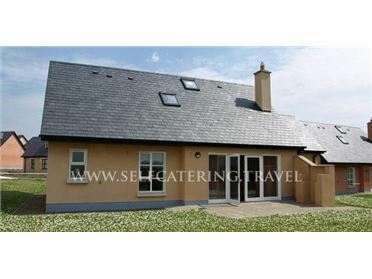 The property is a three minute drive from the magnificent Kilkea Castle Hotel and beautiful grounds. There are seven 18 hole golf courses within a 15 minutes drive of the Bungalow. A river runs through the land and provides fishing opportunities in season. Take N9 from Dublin to Moone village. In village take right through archway, go over a small bridge, take immediate left. 2nd house on the left..